Great news to all you divers and snorkelers, it’s official. I just heard on January 18th, Diviac is now PADI Travel. Diviac and its team joined forces with PADI to become PADI Travel, as your ‘ultimate online underwater travel agency’. It’s what divers all over the world have been wanting. Finally, we have a divers network. In case you’re new to diving or don’t know who PADI and Diviac are, let me briefly explain what this all means for you. What happens when you become a PADI diver? Why The Connection of Diviac Travel and PADI Travel? The PADI Travel Benefits – Unique in so many ways! What Customers Say About PADI Travel? 1) Superb Teaching Materials and Educational Values. PADI is recognized for its superb teaching materials and educational values. Even independent educational and vocational training facilities acknowledge PADI by rewarding their students with college credits towards some of the courses. 2) Professional Dive Instructors. Your professional dive instructors are trained to the highest approved diving standards in the world. This gives you as a dive student, all the confidence you need to enjoy and explore your underwater universe. 3) Fun Courses. 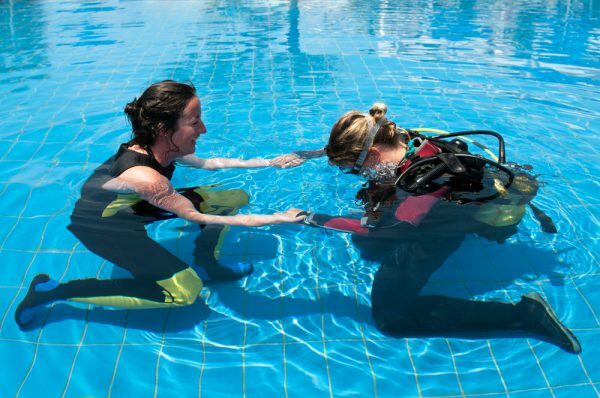 Your PADI courses are designed to make it fun while learning at your own pace. 4) eLearning. If you’re interested in learning how to scuba dive and feel pressed on time or don’t want to spend your holiday studying from a manual, don’t worry. You can simply go online to PADI’s eLearning to complete the part 1 of PADI’s Open Water Diver Course which is the theoretical knowledge and a final exam. When you’re finished part 1 online, you can select a dive center anywhere in the world to plan your scuba vacation and complete the rest of the entry-level Open Water Diver Certification training. This second part is on gear familiarization, mastery and demonstration of your scuba skills in confined and open water with your professional dive instructor. Once you’re a certified PADI diver, your certification card is accepted by dive shops/resorts and liveaboards all over the world. Founded in 2012, Diviac is one of the largest online scuba diving holiday booking website. Divers can do all their researching here and book liveaboards or dive centers/resorts all over the world thru Diviac Travel. Can you see how Diviac Travel and PADI complement each other? PADI has all the connections for people worldwide, who want to learn how to scuba dive. Snorkelers and all certified divers of any dive skills can connect with PADI dive centers/resorts. Diviac is the authority for providing information on the best places to live and dive from liveaboards. They also have the expertise to answer all your questions for liveaboard vacations and the ability to book your vacations. Are you tired of researching online for hours just to find the right dive destination? What about the weather conditions? What if the dive type is all current? 1) 24/7 Live Chat. PADI Travel’s dive travel consultants can be accessed within minutes. They are professionally trained and seasoned scuba divers who work with you one-on-one and with large groups. This is why they really understand your needs and help eliminate the frustration of inaccurate or lack of information. Because they are a dive travel agency, they can help plan and book your dive vacation worldwide. When you have finished your discussion with them, your entire conversation can be emailed to you so you don’t have to take notes. PADI Travel customers rate the support they get as 9 out of 10. 2) Best Price Guarantee. The exciting part is you are guaranteed to get the best price deal. If you happen to find a price that is cheaper within 24 hours when you book with PADI Travel, they will match it. They will also give you a voucher for $50 USD. 3) No Surprise Fees. There are no hidden fees. When you go on PADI Travel’s website, all the cost information is transparent. There are no credit card or booking service charge fees. You pay your national park surcharges on the ground or in advance. 4) Liveaboards and Dive Resorts. What I really enjoy about liveaboards is they take you to majestic and remote places where small dive boats and day boats don’t go to. With 278 liveaboards, you can find dive destinations in the Caribbean, Central America, Southeast Asia, Asia Pacific, Indian Ocean, the Red Sea and the Middle East, Europe, and in the Polar Circles. Liveaboards are one of the best ways to explore the underwater flora and fauna, dive wrecks, caves and still enjoy the awesome long walks on sandy beaches and enjoy the tasty local cuisine. This is what I do, I usually travel alone and liveaboards are my favorite all-inclusive dive excursions because it’s where I get the best prices and have the most fun. By living and diving from the boat, all my meals and certain beverages, and my dives with a tour guide are all included. If you’re thinking of bringing a non-diver, there are many liveaboards for family members and friends who just want to snorkel. There are also dive resorts you can book worldwide right here, with PADI Travel. All you have to do is pick the destination, a date, the number of nights you want to stay and the number of people and boom! All the information is there for you. Even the dive resort’s rating, their reviews and what you can expect are displayed. 5) Prices Are Quoted In Your Desired Currency. You might have already heard about this! It’s true, there are 52 different currencies here. How convenient is that? It automatically knows the country I live in which is Canada and so I can see how much the liveaboards and dive resorts are in CAD $. I can also easily choose a different country and get the rates in that currency. 6) Confirmed Booking Availability. Sometimes, small dive resorts and liveaboard operations are not easily accessible leaving doubt in your mind on your booking. For bookings over $1000 USD per person, PADI Travel will cover for free, all your emergency medical coverage on transportation, hyperbaric chamber, and other relevant costs. NOTE: Some liveaboards will make this coverage mandatory and in that case, you must have Dive Accident Liability Coverage. 8) Emergency Contacts and Procedure. 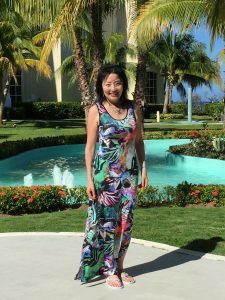 The best advice I have for you here is to give your family and close friends, your travel itinerary. You will also want to make sure you give them PADI Travel’s website and instruct them to use LIVE CHAT. They also have a phone number and email address. NOTE: PADI Travel has direct contact with your liveaboard and dive resort. 9) PADI ECO Travel. Want to give back to the sea creatures and get involved with the ocean life by being part of the water wildlife conservation? Participate, and I promise this will be the best dive experience you will ever have. Dive and snorkel from liveaboards with researchers. Here, you get to observe the habits of some of your favorite large sea creatures such as sea turtles and dolphins while wreck diving or diving along coral reefs. You can have a whale of a time with the largest fish in the world, studying the gentle whale sharks, listening to mystical whales songs and swimming with giant manta rays. 10) Special Deals for Members. You will definitely want to keep your eye open for PADI Travel’s Special ‘Unbeatable’ Offers. Just remember to change your desired currency by clicking up at the top right. This is where PADI Travel shines! If you love the ocean and all the true beauty and magnificence of the underwater world, participating in any one or all of these dives are the best way of giving back to the ocean. 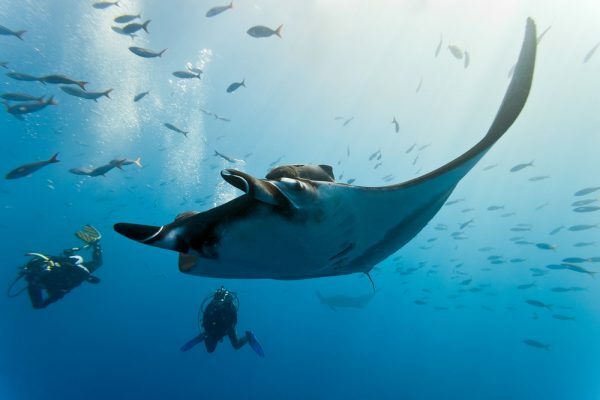 Manta Trust (Charity organization) – Join forces with marine biologists on liveaboard expeditions and learn and study magnificent manta rays at the exotica Komodo, Indonesia or in the Maldives. HEPCA – This is a team of industry experts and scientists who study the Red Sea. Liveaboard expeditions are available if you’re interested in studying turtles and dolphins or perhaps you might want to do the Shark Week in the Red Sea. Marine Wildlife – This is another exciting dive adventure from liveaboards where you learn and study whale sharks. Your credit card information is required when you book with PADI Travel. They will not charge your card for 48 hours giving you plenty of time to book your flight or do other things. If you need to change or cancel your booked reservation, then this is the time to do it. NOTE: At the time of your booking, you get a form to fill out. On this form, you can also note your specific requirements, put in your travel times, room selection for a number of people and so on. The form will remind you when your free cancellation will expire. In the meantime, PADI Travel will send you an email within 24 hours to confirm your space or deny your booking meaning there is no space available for your booking. Once you receive your booked confirmation, PADI Travel will wait another 24 hours before processing your credit card. There are three ways to reach PADI Travel… 24/7 Live Chat, email, and their website. When your free cancellation expires, you are under the payment terms and cancellation conditions of your booked liveaboard or dive resort. PADI Travel’s site conveniently displays this information for you in addition to the balance payment terms. PADI Travel looks after all the payments so you don’t have to deal with the owner. PADI Travel uses Trustpilot to monitor their customer feedbacks. Trustpilot’s mission is to ensure you get ‘better online shopping experiences’ and reviews cannot be deleted. Are you ready for your dive and snorkel adventure? Are you a new or novice certified diver? CLICK HERE if you want to find out more about PADI Travel or if you’re ready to book your dive vacation. If you have any questions or comments, please put them in the Comment Box below. If you have any stories you would like to share about your experiences with PADI Travel it would be AWESOME to hear from you. I hope you enjoyed reading all about the PADI Travel network! My daughter just completed some dive training through her high school. As part of her graduation present, she wants to go some place exotic to dive and snorkel. It sounds like PADI is going to be a good place for her to start her research. Considering she is not yet certified, is this the best place for her to start or do you recommend she go somewhere else first? And thank you for all of the use scuba diving information on your site! You’re very welcome! I’m glad I was able to provide helpful information. What a great gift for your daughter. I recommend going online to PADI’s dive site. They have their eLearning on their Open Water Diver Certification. This allows her to do all the theory part online, which she has 1 year to complete, and do this in her own time. There will be quizzes and a final exam. After she has the theory completed, you can stay on their site to book with a dive center at an exotic dive destination to finish the course with a professional PADI dive instructor. This includes getting familiar with all the dive gear and dive skills in shallow or confined water and lastly, doing 4 open water dives under the guidance of her instructor to demonstrate the skills. If you have any other questions, I’m here to help. 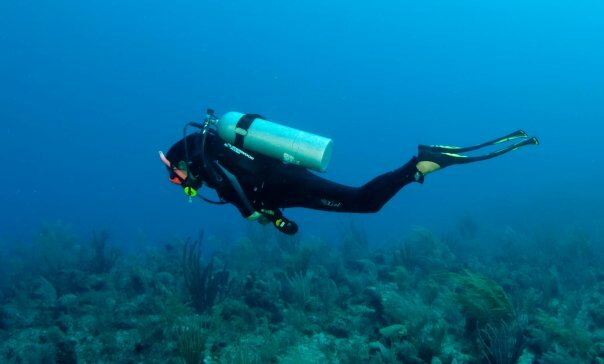 This has been a dream of mine for years to learn how to scuba dive and I have just now been searching to see how to do this so I’m glad I read this. I really like the idea of being able to do the theory on PADI’s eLearning. I can do this at home or at work during my lunch time. The ocean is another whole beautiful world I would love to see. How long does it usually take get certified? Hi Ann, thank you for your great comment. Thru PADI’s eLearning you’re not rushed either because you have 1 year to complete the theory… of course the sooner the better because then you’re that much closer to fulfilling your dream of actually scuba diving. To get your PADI Open Water Diver Certification, once you start your training in shallow water or in confined water with an instructor, it will take approximately 2-3 days depending on your comfort level. This means becoming familiar with how to use the dive gear and doing 4 open water dives demonstrating the skills you learned to your instructor. What a fantastic concept. It can be such a pain booking dive holidays as very few companies offer an all in solution so you need to book it all piecemeal. It seems much more convenient to have a one-stop shop to book the whole trip rather than the usual hassle. This usually puts us off booking dive holidays and instead I just squeeze some diving in wherever we go. But to get the best locations it makes sense for the primary focus to be the diving. I am sure there is a bit of a premium to book this way? But as long as it’s not too steep it could be worth the money to save the hassle? Hi Steve, thanks for reading my blog. The prices are really decent. Even with liveaboards, there are lots of great discounts you can find. Padi Travel is such a great idea! I am a new scuba diver and am in the process of getting certified. I love the idea of pairing the two powers together. 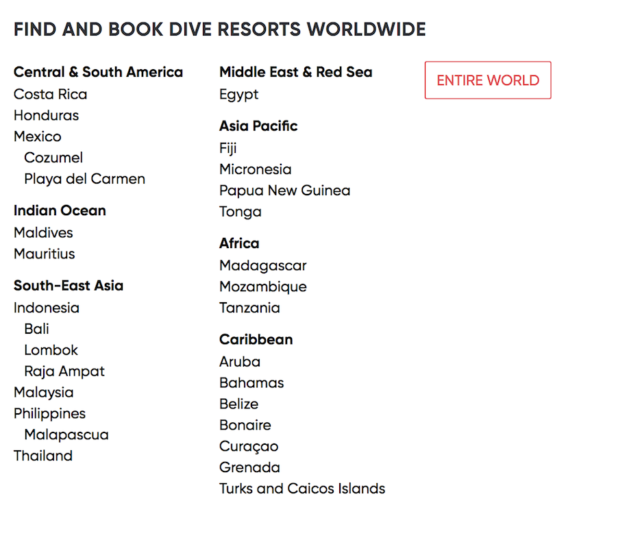 As a newbie- options to book an all inclusive dive trip and see places that are worth diving all over the world seems fantastic. I am going to have to try one of these liveaboards! Hi Lo, thanks for reading. I was excited too when I got the news. I’m thrilled to hear you are joining the underwater world of divers. Welcome aboard!! It’s much easier to plan your dive and snorkel vacations as an all inclusive. There are also liveaboards for new divers on PADI Travel’s site and I know you will enjoy going to beautiful remote and untouched dive sites. Hey thanks. I’m a diver and I heard rumours from other divers about PADI doing all inclusive dive bookings which I’m happy to hear. I’m going to be booking a dive vacation sometime this year and have never done dives from liveaboards and so I’ll check that out. As soon as I figure out when and where, I’m sure I’ll get back in touch. In the meantime, I have this bookmarked. Wonderful, thank you for bookmarking my article. PADI Travel has made it so much easier now to book your dive vacation and even their booking agents are experienced divers too. Let me know if you have any questions and I look forward to hearing from you soon. What a clever name ‘ultimate online underwater travel agency’ for divers! very cool. I had not heard of PADI and have been thinking of learning to scuba dive and so I’m glad I read this. It’s good to be knowledgeable about who they are and what they offer. I am quite interested now in PADI and feel they are the Cadillac of the diving world and certification. You mentioned it is all over the world, so are these training programs also available in Canada? Hi Lyndsay, thanks for reading. Yes, there are lots of dive centres in Canada who represent PADI. They follow PADI’s teaching standards and rules and regulations. The dive instructors are professionally trained and when you finish your course(s) PADI will send you their certification card with your name, date of completion and course level. If you go back into my article and click at the top right “Dive Centre Locator”, you can do a search by location to find dive centres in Canada and anywhere in the world. It sounds like a perfect place for me. I have looked if there are online courses, but the problems are always the same, that it’s either too expensive or it’s hard to finish. I am glad that there is network forming. I’ll definitely be keeping my eyes on this PADI organization! Thank you for reading. PADI is definitely making it easier and now you can learn online and on your own time. I have always been fascinated by what scuba divers can do and I have always wanted to go somewhere and scuba dive. You have answered most of my questions within the article and thanks to you I am educated. I like how you explained how to give back to the ocean and protect what we love. It is indeed important. I will surely be coming back for more posted updates as my holiday is fast approaching. I picked me an idea or two from here for my holiday. Thanks again. Thanks for reading and I’m glad I was able to educate you more on scuba diving. It is extremely important to protect the ocean from debris left by humans. I look forward to seeing you back closer to your holiday. Haha finally someone with something in common. Wow Mozambique, very exciting. You are definitely going to enjoy diving with the whale sharks and manta rays. These beautiful sea creatures are there year round and the humpback whales are seasonal but they go thru Mozambique Channel from the Antarctic. There are also 2 liveaboards in Africa that will take you to some gorgeous remote dive locations as well. When you are ready, I hope you will come back and check out what PADI Travel can offer you. Happy diving back at you!! I didn’t know PADI now has a travel agency that did this until I read your page. I was looking to book a dive trip with my family and so I found this very interesting and having it all in one place saves time and money. I will look into this more in-depth with my family to book our holiday with them. Thanks for the video, very helpful. Thank you for reading. 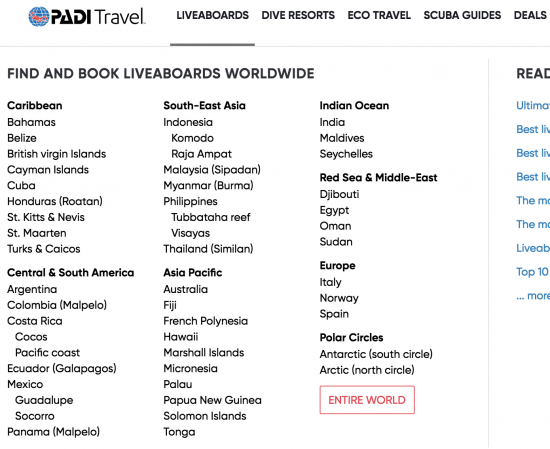 It’s pretty exciting to see PADI take this step to add the dive travel agency. It makes absolute sense and long-time coming to do this. I’m glad you are looking into PADI’s Travel Agency to book your scuba vacation. They have a lot of great dive destinations worldwide and their online help are all scuba divers too. I use PADI to book my vacations too.